And exactly the same is true of Forever After. It’s not that this isn’t a moderately diverting film, with a few genuinely amusing chuckles and one or two actual belly laughs. It’s that those chuckles and those belly laughs are indistinguishable from those we’ve experienced before. This time out, Shrek (the voice of Mike Myers) is bored with domesticity. He and Fiona (the voice of Cameron Diaz) have settled down in his little shack in the swamp. Their ogre babies burp and poop a lot, but they’re still really cute; Fiona adores her husband; and every evening, there’s the company of Shrek’s best friends, Donkey (the voice of Eddie Murphy) and Puss in Boots (the voice of Antonio Banderas), to entertain him. Obviously, this is a nightmare up with which no self-respecting ogre should have to put, and Shrek is unhappy. (Is Fiona fed up with the daily grind of making a home? Of course not. Only men are allowed midlife crises. So Shrek makes a magical deal with Rumpelstiltskin (the voice of Walt Dohrn) to live just one day like he used to, terrifying villagers and wallowin’ in his mudbath unencumbered by husbandly and fatherly responsibilities. Of course it goes wrong — ya gots to read yer magical contracts closely; the fine print is a killer — and Shrek ends up in an alterna-Far Far Away where Stiltskin is a Sauron-like emperor and Fiona, who is leading an ogre uprising against the tyrant, doesn’t even know him. It’s not a terribly convincing scenario, that Far Far Away would be an awful place if Shrek hadn’t rescued Fiona and convinced her that he was her one true love back in the first film. And it’s not even a terribly interesting one. Donkey still has all the best lines and is easily the sweetest, most likable character. All the smartest jokes are in the trailer. There’s nothing in the least bit surprising about Forever After, which is really a crime, considering how subversive the first two films in the series were. It’s notable, I’m sure, that none of the top-level creative folks here had anything to do with those first two films. Co-writer (with Darren Lemke) Josh Klausner contributed to Shrek 3, and director Mike Mitchell’s chief claim to fame is having excreted Deuce Bigalow: Male Gigolo. And they tread safe water through Forever After, indulging in a fart joke here, some slapstick there. The genuinely unexpected moments — such as the new appearance in the series of one character from fairy tales, which I won’t spoil — are too few and far between and yet intriguing enough that you’ll wish the film was willing to take more chances. 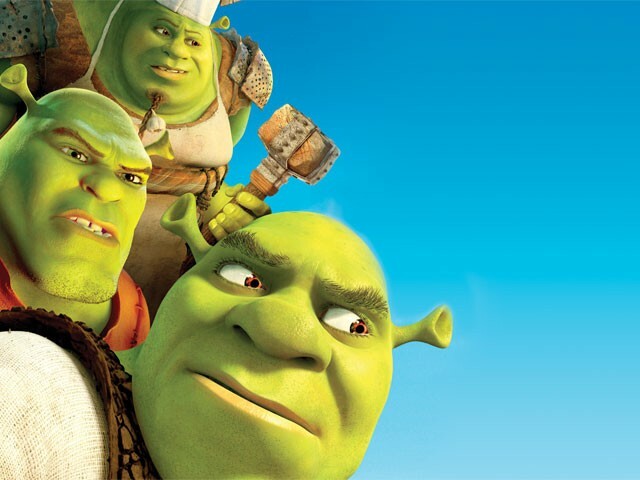 Watch our Blockbuster Rhyme Time video on Shrek Forever After here.